The Diplomat speaks with the man who makes animals vanish. Science is taking us one step closer to fantasy. Researchers in Singapore have successfully hidden a cat and a goldfish in broad daylight. It may look like a scene out of a Harry Potter movie, but Dr. Zhang Baile, assistant professor for physics at Nanyang Technological University, can make objects disappear behind an “invisibility cloak” – a glass wall that plays tricks with light. The cloaking wall, when placed in a water tank, made a goldfish disappear while the green plants in the background were still visible. Similarly, a live cat vanished when it stepped behind the cloak. It is supposedly the first time a large living animal such as a cat has been made invisible to the human eye in a natural environment. The real-life prototype guides light away from an object you wish to hide. Glass blocks are placed at an angle to create an optical illusion of an empty core, leaving the background visible but the target invisible. The research took three years and was published in October in Nature Communications, a leading science journal. Zhang led a team of scientists from Zhejiang University in China and Marvell Technology Group in Boston. What makes Zhang’s work an improvement over similar studies is that it requires no special conditions. Large living creatures can hide from the human eye in a lit up, uncontrolled environment. The disappearing act has been pulled off in water and air. The cloaking wall can also be replicated on a large scale using readily available materials. The magical glass wall, however, is not without its limitations. Right now it can make things disappear from only six directions. Scientists are working on making it invisible from all directions. It is also bulky and hard to move around. The research, according to Zhang, is still in its early phase and will take years before it can be put to commercial use. For practical purposes, it could be useful in developing security equipment. Other uses are up to one’s imagination. Singapore’s government is investing millions in innovation, technology and research. Some even see the city-state as the Silicon Valley of Asia. Singapore has the competitive advantage of a strong economy and an environment conducive to scientific discoveries, said President Tony Tan Keng Yam on a recent visit to Slovakia. The country encourages researchers to find innovative solutions. Zhang is recognized by MIT amongst the top 35 young innovators in the world Known as “TR35”, this award puts him in the same league as Google founders Larry Page and Sergey Brin and the creator of Facebook, Mark Zuckerberg. 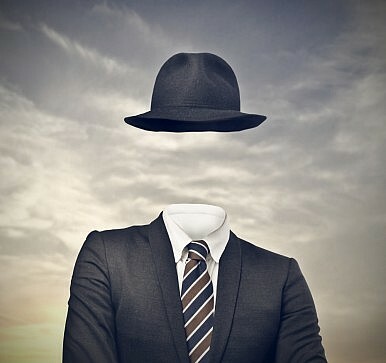 So what does the future hold for invisibility?